In a Nia workout class* there are seven cycles. The first cycle is setting your focus and intent. In my classes before we step in, cycle two, I state the focus and the intent of the class. Every once in awhile I do remind my students that they are welcome to set their own focus and intent, but there is always a class focus and intent. 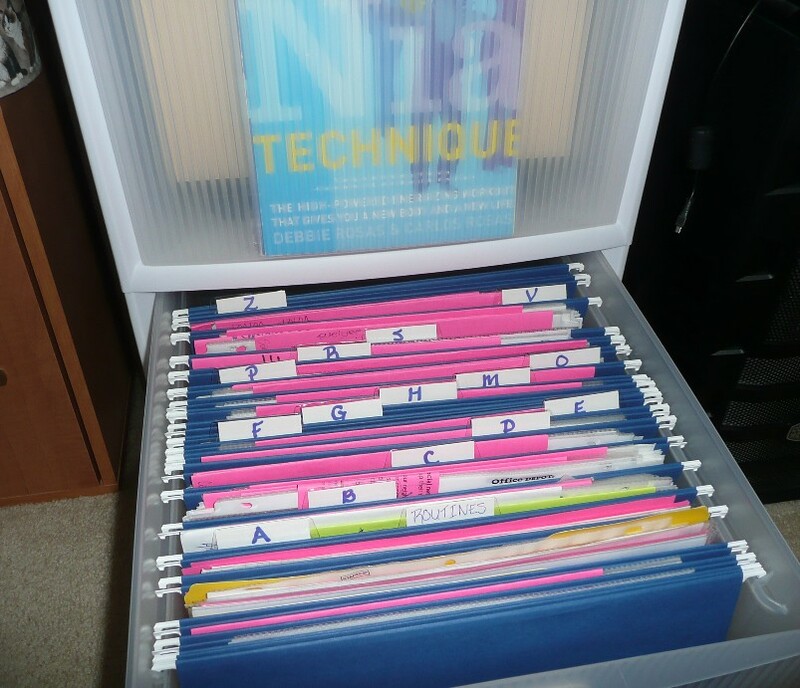 Nia teachers are supplied with and can purchase routines. With our routines comes a focus and intent. We receive the routine DVD along with a pamphlet that explains what the routine’s original focus and intent was. Nia teachers are encouraged to change focuses and intents. In fact, in addition to the one main focus and intent, there is a list of optional foci and intents. I was reminded on a Nia teleconference call recently, that a focus is what you give your attention to, in order to get a desired result. And not only can you have a focus and intent for the workout, but you can carry that focus and intent throughout the day. As an example, let’s say the focus of the class is set on shoulders, with the intent of remembering to keep them down and not scrunch them up toward the ears. So during the entire Nia class, I will remind myself and the class that we are focusing on our shoulders. When we lift our arms to part the clouds we will be conscious of keep our shoulders down. When we swim as we do our side steps I might remind the class to keep a long graceful neck (which can be achieved by holding the shoulders down). Throughout the class with each movement we will be focusing on our shoulders which could assist in strengthening the muscles in our back and enable us to keep them down where they belong. Then after class the focus and intent can be carried out into the day. If you find yourself holding your phone with your shoulder hunched up toward your ear you have the opportunity to stop, which would help you keep the intent. Since you have set your shoulders as a focus you would be more likely to notice. Or while you are on the computer you might notice your shoulders bunched up around your ears and you could be aware of that and choose to sit up straight and pull your shoulders down. In class we move to music and sometimes students might be concerned that the first time they participate they cannot move their feet AND their arms, so I often set the focus as one or the other. I might set the focus on the upper extremities, with the intent to move them in a conscious manner connecting to the music. Then I remind them that as they concentrate on their hands and arms it is ok if their feet are not perfect. That sometimes helps people to move more freely and actually focus on the focus. These are just examples of foci and intents. There are an endless number of foci and intents. These examples are body related, but you can, of course, make your focus anything to get the intent you desire. If you were setting a focus and intent for your workout, what would it be? What would it be if you were going to carry it from your workout into your day? From the healing arts, we use moves and ideals from Yoga. As with all the movement forms incorporated into Nia, Nia does not claim to be practicing Yoga. It is understood that years of studying and practice can be involved in the practice of Yoga, and Nia respects that, that is why I say that we “use move and ideals”. Nia recognizes the benefits that can result from Yoga and with that does its best to utilize some of its amazing power. Nia calls Yoga “The Conscious Dance of Alignment”. * It helps with the proper alignment of the bones. It also assists in increasing flexibility for all fitness levels. We use the aspects of Yoga to help find balance in the body. In Nia we can also call upon the focus that is evident in Yoga. Witness the value this form provides to increasing and restoring the natural flow of energy throughout the entire body. Recognize the specific principles that help to clear and calm the mind, bring balance to the nervous system, improve breath and posturing, and strengthen specific body parts. Acknowledge the way Yoga unifies the body, mind, spirit, and emotional being, and how the internal, core body becomes soft and supple to provide real “energy” strength from the inside out. So we might do some exercises of twists, bends, and poses in our workout, it is to help increase strength, flexibility, alignment and our conscious connection. The breathing in Nia reminds me more of Pilates than to Yoga. We inhale through the nose and exhale through the mouth, often times sounding. I have not participated in a Yoga class that does chanting or is vocal so that is why I am reminded more of Pilates than Yoga. Many of Nia’s teachers are also Yoga instructors or they attend Yoga classes. I sometimes attend a Yoga class in San Jose. The two forms of movement are a great compliment to each other. I have only taken two yoga classes. One was this evening and throughout the entire class, while the teacher was instructing I kept thinking, “Oh that is so Nia. Oh this is so Nia. . . . . .Oh THAT is so Nia.” Even though earlier in the class I realized that maybe Nia was “so Yoga”. Yoga was first. It has been around for thousands of years. For some it is rooted in religion, where as Nia has been around for 25 years and is rooted in the body. I just couldn’t help thinking that this yoga class was so like a Nia class, except much slower. Slower, in the sense that in this class the movement wass not to the music, but to the breath. There was no rhythmic quality to the movement, just the flow of your breath. Every once in awhile I would hear the music and to start sway to it and realize that I was supposed to be holding a pose so I would stop my body from moving but my spirit continued to boogey away. This yoga class is about joy in yoga, allowing for another comparison, comparing to the first principle of the Nia White Belt which is the Joy of Movement. The Joy of movement is actually found as a sensation and not a feeling. In Nia it is something that is sensed in the body and not felts as an emotion. The teacher started the class with the suggestion that you set an intention. I actually wiggled with happiness at this because in every Nia class we set a focus and an intent (in cycle one). This yoga class made me realize why so many people that practice yoga also practice Nia because there are many things in common. In yoga there are poses that open areas of the body, in Nia we have movements and poses that open the body and get the joints juicy. Yoga has muscle strengtheners and ligaments and tendon lengtheners and so does Nia. But with yoga it is a pose and in Nia it is primarily movements linked together in a more cardio-dance fashion. In the cool down we do poses or stretches and sometimes there are yoga poses. It just amazed me how similar they were. With the request of awareness that the teacher was giving during the ending meditation, something that we request during the entire Nia workout, I was extremely delighted to realize that yoga and Nia aren’t competing practices, but companion practices. They are so similar that you can apply a lot of the principles to both. You can have a non-impact booty shaking cardio and strength workout (Nia) that you balance with the complete stretching and strength workout (yoga). I truly was amazed at how Nia has taken so much of what is “yoga” and created a practice that can be such a great companion. With so many similarities it really allows for an expansion of exercise and workout possibilities for so many people who do yoga in San Jose and in the Bay Area.